FoneHub Limited: World Environment Day or "WED". World Environment Day or "WED". If you’re passionate about the environment, then you will surely know that it is WED (World Environment day) at the beginning of June. Many schools, companies and individuals all over the world are holding events to raise awareness for the day. World Environment day is just round the corner (June 5th to be exact) and the residents a town in Australia are doing their bit to honor the day, and recycling their mobile phones. WED have said that recycling your old handset prevents mass amounts of precious metal being mined, and doing so can drastically help the environment. It has been mathematically proven that in the Greater Hume Shire, the town holding the campaign to back WED, that there as many old phones left in homes, garages and office for every man, women and child in the area. This amounts to staggering 31 tones of precious metal ore.
To put that figure into perspective, that’s the environmental equivalent of 27 trees being planted or over 1 thousand aluminum cans. If all this is being wasted in a town in Australia, the numbers based for the rest of the world must be staggering. 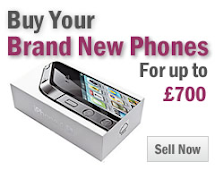 Do you have a old phone lying somewhere in a drawer? 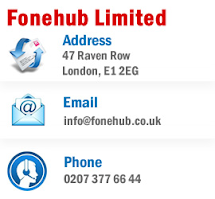 Mobile phone recycling in the UK has never been easier, so get yourself to Fonehub! Should Mobile Phone Unlocking Be Free?